Have you been watching the Olympics? We have been having a party every night staying up and watching and of course enjoying some desert. My kids are so into every event. In fact last night, my 7-year-old son asked me to take bobsledding lessons. Really?! Where would you even go for that? My 9-year-old daughter is completely obsessed with anything ice skating. She can tell who each of them are, where they are from and how well they are expected to do. It is crazy, I tell you. But like I said, I have been letting my children stay up and watch every night, and of course if you are going to really get into it a little sweet treat is helpful. 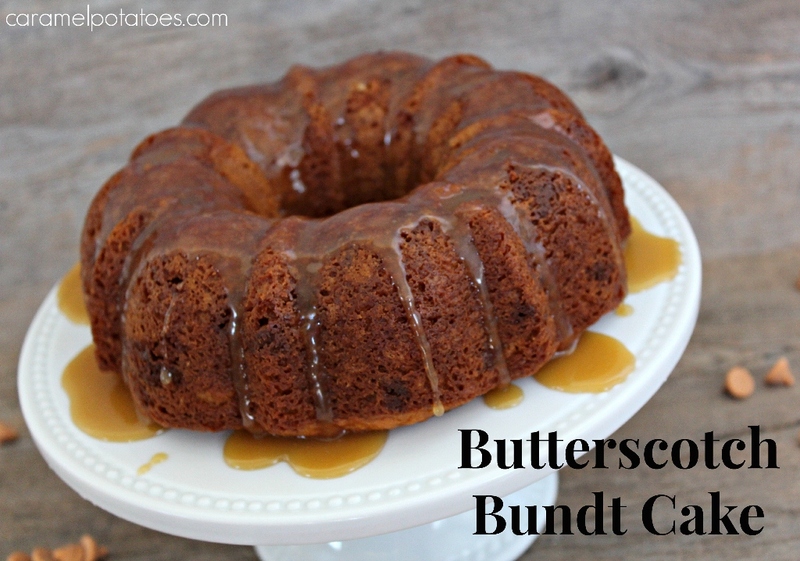 This Butterscotch Bundt Cake is a family favorite. Bundt Cakes are always one of my go to desserts, because they are so easy and always delicious! Preheat oven to 350 and prepare bundt pan with baking spray. Using an electric mixer, mix together all ingredients except butterscotch chips on medium speed, until there are no lumps in the mixture. Stir in butterscotch chips just until they are incorporated throughout. Pour into prepared bundt pan and bake 45-60 minutes. Let cool in bundt pan for at least 1 hour and then dump out onto a wire rack to continue cooling. Once cake has cooled, place on your serving plate and prepare caramel glaze. Pour the sugar into a medium-sized pan and heat on the stove over medium-low heat, allowing the sugar to melt and whisking often., 3-5 minutes. When the sugar becomes golden brown, add the butter and whisk constantly. Once the butter and sugar are well-combed (about 5 minutes), remove from the heat. Add the cream to the pot with the caramel and stir until the caramel is thick and creamy. Pour the glaze into a bowl and set aside to cool for a bit. Pour over bundt cake. 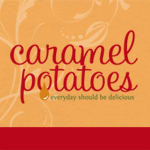 Do you make this with instant or regular butterscotch pudding? I made this Saturday, and it’s absolutely delicious, but the top stuck to the pan. I used regular pudding and wondered if that was the cause. It was still fantastic, though! I use instant pudding, Thanks for catching that. I will update the recipe.